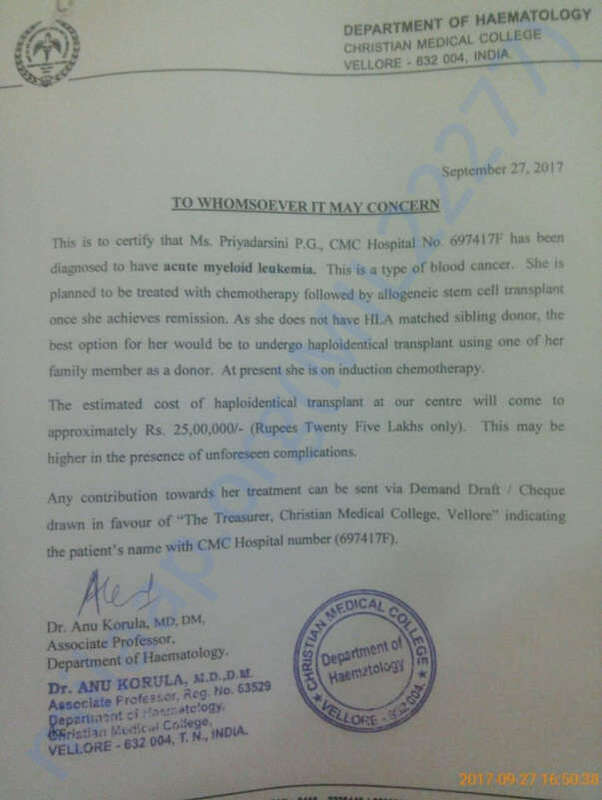 Priyadarsini 31 yrs lady, is suffering from leukemia ie blood cancer, undergoing treatment in Christian medical college hospital, Vellore. Bone marrow transplantation will take place after arranging Rs.25,00,000.00 only. Please contribute and help. You can also send to her SBI account number 20022477229. Thank you for the support. 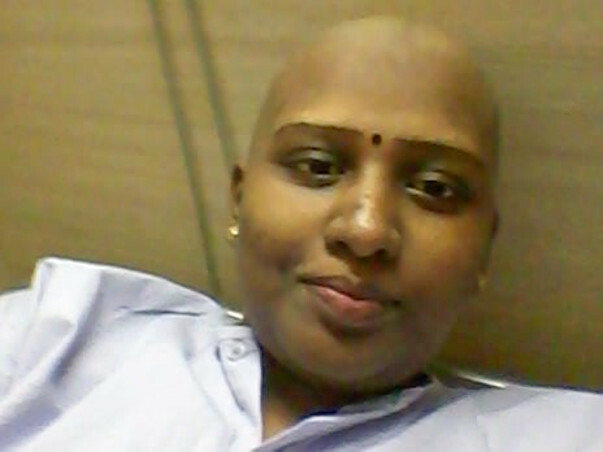 After chemotherapy treatment, she's under observation. The doctors have planned bone marrow transplantation in the first week of November. Other departmental clearance for BMT to patient and donor is going on. Will keep you posted. Please do pray for her health and speedy recovery. Thank you all once again for all the support.